When domestic unblocking solutions don't work! Bath plug holes get blocked up occasionally with hair or residue from soaps, salts, bath oils and other typical bathing extras; this leads to a build up within the pipes that need a professional clean rather than a temporary pour down solution. At JLH we can unblock your bath in no time using the best equipment with the least fuss or mess. If you have a blocked bath, call and we can be with you in no time. 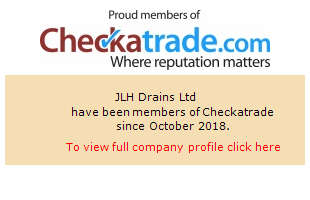 Sometimes it can be a more distant problem, like autumn leaves blocking up the part of the main drain that the waste bathwater runs into; JLH Drains use the latest in drain maintenance equipment and a highly skilled and experienced team to take care of any blocked bath drains quickly and effectively without any serious disruption to your day. Call us now on 0800 781 8922 and we'll have your bath unblocked within just 90 minutes! With baths never really featuring in commercial environments most of our bath unblocking work focused on domestic households, property managers, landlords and residential care homes for the elderly. Having your bath out of action can lead to some unpleasant smells from the drains and the inconvenience, of course! We take care of things quickly, fuss-free and using the least destructive and most cost-effective method available to us. Our team have decades of experience clearing drains and plugholes from all domestic fittings and sanitary-ware, combining great expertise with modern, time saving equipment we promise great solutions fast and affordably. Some of the areas we regularly work include; Maidstone, Sidcup, Dartford, Gravesend, Sittingbourne, West Malling, Gillingham, Chatham, Rochester, Strood, Orpington, Bexley, Sheerness, Crayford, Sheppey, Margate, Herne Bay, Canterbury, Ramsgate, Faversham, Crayford, London, Surrey, Sussex and Medway. Get your plug hole problem, drain obstruction or bath blockage cleared by a team who guarantees great service, great prices and a friendly, helpful approach; contact us today at JLH Drains and we can arrange a no obligation survey and quotation with one of our friendly team. NO call out charge, competitive rates.